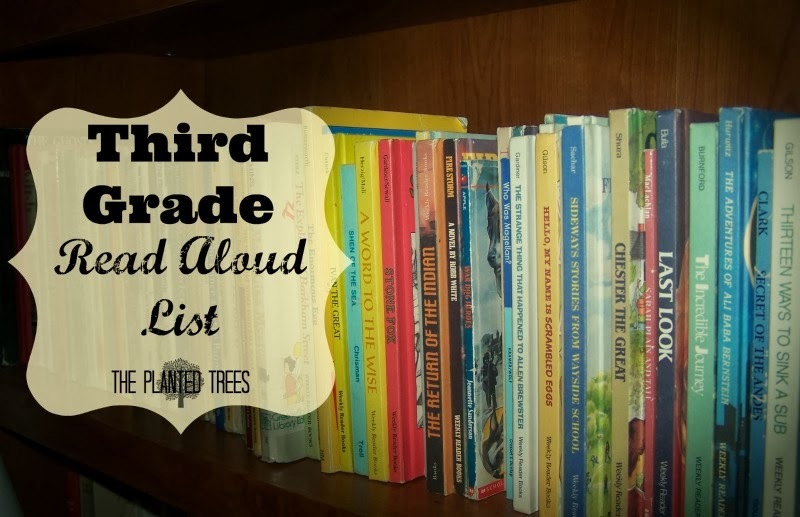 The last few weeks I shared our Preschool Read Aloud List, Kindergarten Read Aloud List, First Grade Read Aloud List, and Second Grade Read Aloud List. This week I thought I would share what I’ve compiled for our read aloud time during our upcoming Third Grade year. Only a few picture books on this list before diving into some great chapter book selections. I have noted which books are chapter books and which are picture books by noting the picture books with a (pic) and chapter books/novels with a (ch). Please keep in mind that children can understand books at a higher level than they can read them, so if the books seem advanced for this age group, they are supposed to be! Also no family favorites marked in this list since we haven’t read these yet. Some of these books are actually on Chipette's list to read next year since her reading level has caught up to our read aloud level, but there are so many good books out there and so little time! We're skipping the ones she's going to read and using the rest for read alouds at bedtime.